Talking Point: Could Retro Studios Make a Better Zelda Game? This is an interesting topic for a number of reasons. First off, it’s been rumored in the past that Retro Studios was going to make a Zelda game… and it just never happened. However, is it possible, and if it is, then what are we going to get? We’ve seen them revolutionize Metroid, and we know they are bringing Donkey Kong back. 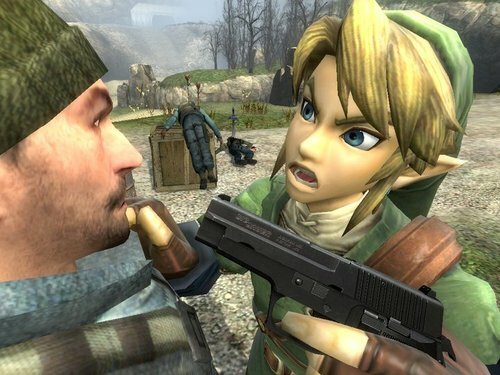 What would they do if they had the Zelda franchise in their hands? Could they make a better game than what Eiji Aonuma and company can? Would you play it? Let the discussion commence! This topic was inspired by a current discussion happening over at VGChartz. By the way, the picture used in this news post is completely unrelated. It was requested by our hidden co-owner, Dennis Wyman, to make an appearance in a news post. Well my friend, it is done.